Make Work Fly with an Eagle 10,000 Plus! A great choice for getting the job done! 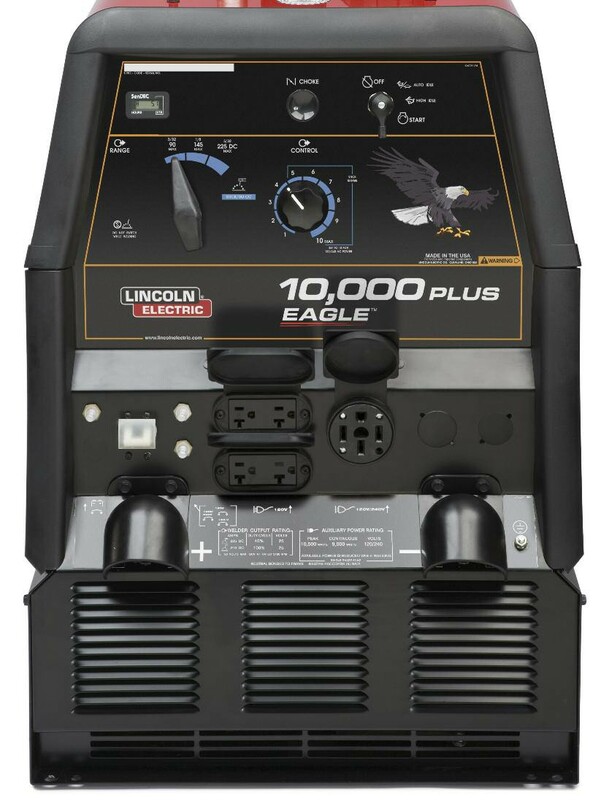 For construction contractors, maintenance crews, farmers or ranchers, the Eagle 10,000 Plus does a variety of basic welding jobs. 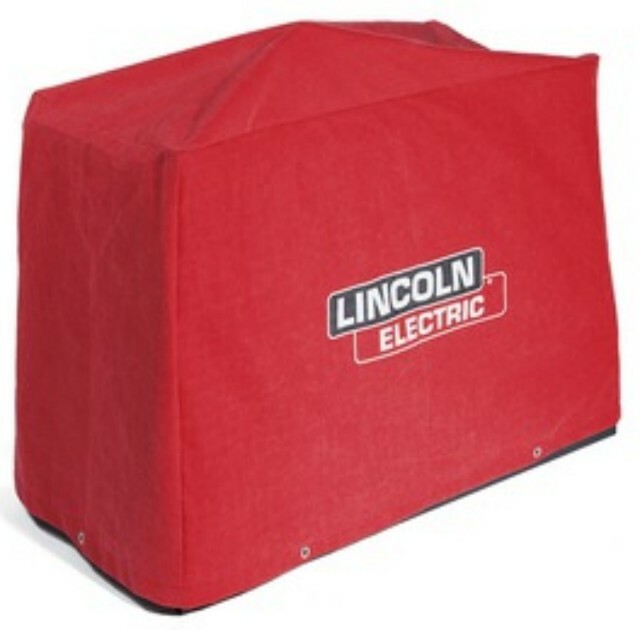 And with 10,500 watts of surge AC generator power, it handles a variety of other jobs: lights, grinder, Lincoln Electric inverter, plasma cutter (separate air supply needed) or emergency power. 10,500 Watts Peak Single-Phase AC Generator Power - Most peak power in its class. Use peak power for motor starting. 500 watts more! 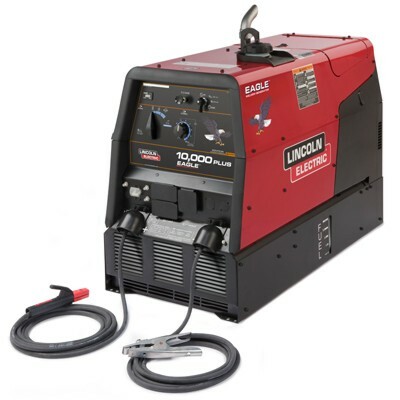 9,000 watts continuous power for high capacity needs such as a back-up generator, powering a Pro-Cut plasma cutter, or an Invertec inverter welder. Also for lights, a grinder or other power tools. 23 HP Kohler Gasoline Engine - 2-cylinder, 4-cycle OHV (overhead valve) air-cooled. Smooth DC Welding - Suitable for a broad range of stick electrodes sold at a retailer near you, including Lincoln Fleetweld 37 (AWS E6013), Fleetweld 47 (AWS E7014), Fleetweld 180 (AWS E6011), Lincoln 7018 AC (AWS E7018 H8) and Lincoln Excalibur, 7018 (AWS E7018 H4R). Weld with up to 5/32" (4.0 mm) electrodes. Rugged Reliability - To ensure reliable operation in a wide variety of environmental conditions. Low Noise 76.4 dBA sound level at 23 ft. (7 m). 100.7 dB sound power (Lwa) at rated output. Smooth DC welding output for a broad range of stick electrode types. 2 cylinder, 4 cycle overhead valve air-cooled design. Oil drain extension for easy oil changes. 12 gallon tank for extended run times. 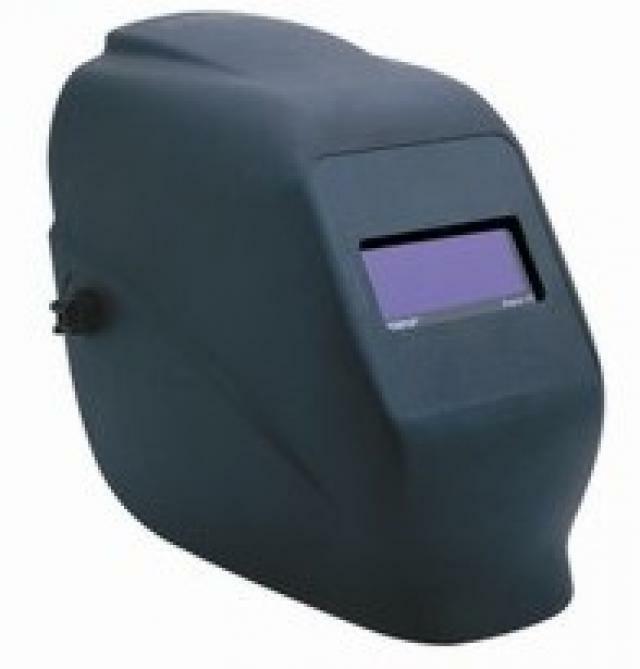 Only 1.3 gallons/hour at 210 amps DC, 25V, 100% duty cycle. Visual fuel level gauge on both sides of unit. (1) A constant voltage (CV) power source is recommended for wire feeder applications. 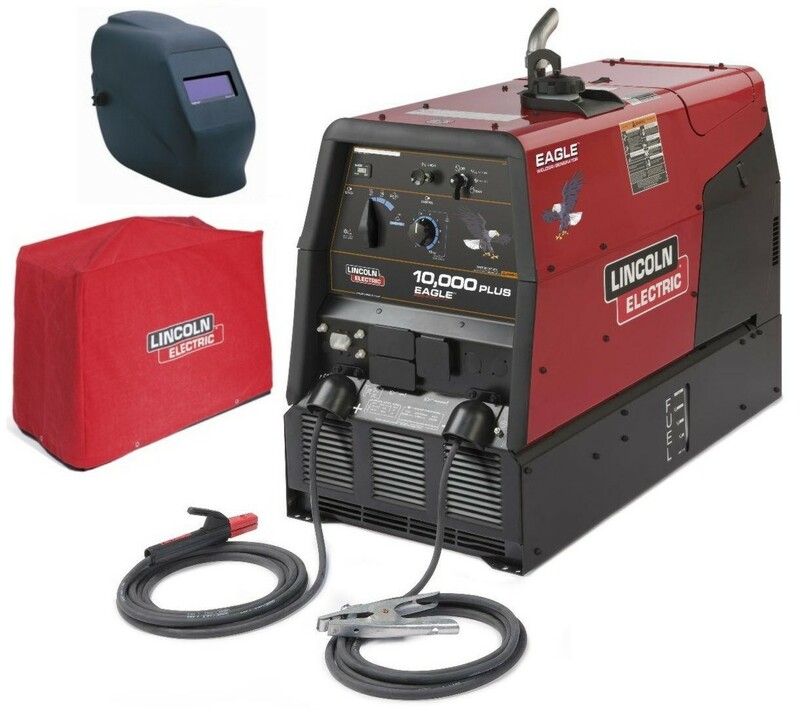 The across-the-arc Lincoln LN-Series wire feeders may be used with a constant current (CC) power source, such as the Eagle 10,000 Plus, for non-critical applications where weld quality and deposition properties are not critical. 15 ft. (4.5 m) of #2 work cable and work clamp to get you started!